I loved the humorous example I saw while browsing this assignment. The idea of mixing an image, quote, and signature to trick unwary viewers seemed intriguing. I wanted to try my hand at finding similar characters and see how one could mash them into essentially one super-character. But on a more serious note, the assignment immediately reminded me of the various quotes that pop up on Facebook. Many of them have an image of either a celebrity, or a particularly emotionally-compelling image with some form of quote. Oftentimes in the comments I will see astute observers pointing out that either the quote is misattributed or completely false. So while this certainly was a fun exercise, I felt that it also reinforced the need for skepticism while browsing information on the Internet. For the actual creation process, I first had to decide on the characters I wanted to include in the piece. Xena and Wonder Woman immediately came to mind, followed by Eowyn as another popular female warrior. But then came the question of which aspects of each to include. At first I considered using Xena’s famous quote of “I have many skills”. But it then became apparent that such a choice would mean I would have to use an image of Wonder Woman with the signature of Eowyn, which I felt might be more easily spotted as a fake (as the two are fairly distinctive). 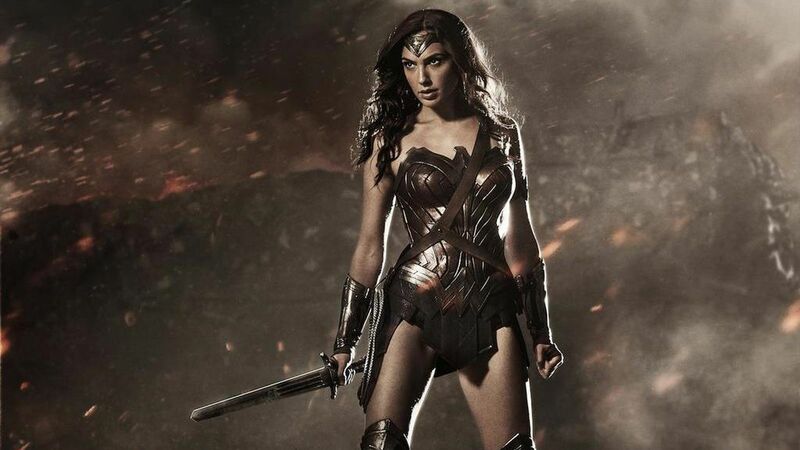 I then considered that many fans reacted to Gal Gadot’s first promo image as Wonder Woman by comparing it visually to Xena. As such, perhaps Wonder Woman and Xena would be more likely to be confused with each other. 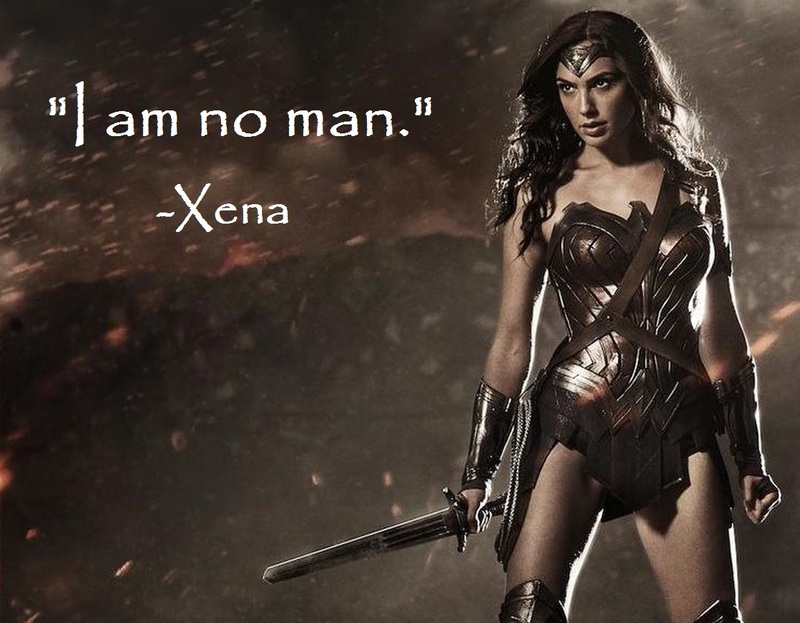 This led me to use Eowyn’s quote of “I am no man,” (especially fitting since all of the chosen characters are female) paired with that particular promo image and Xena’s signature. To create this image, I opened the promo image in paint, and cropped out extraneous space on the righthand side. I then changed the word coloring to white (to better contrast with the darker background), and experimented with various fonts for the quote itself. I ultimately opted for Papyrus, which had a more ancient/timeless feel to it (especially fitting since Xena and Wonder Woman have Greek backgrounds). After fiddling with font sizes, I saved the work, and voila! I felt that the final product looked quite convincing, but was pleasantly surprised by the reaction of my parents. 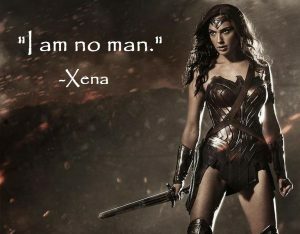 My dad’s reaction was, “Did Xena really say that?” apparently missing that the image was of Wonder Woman. But better yet, my mom didn’t notice anything odd at all about the picture, which cemented in my mind that the image appears perfectly plausible to a casual viewer!